I’m going to paint an idyllic picture: The Shemittah year is just over. The fruit harvest, which in other years is a major, joyous event, this time is a modest occasion, since it is forbidden to engage in large-scale harvest “in the way of the harvesters.” The fruit is ownerless, in any case. If every year Chag HaAsif, Sukkot, the Festival of Harvest, is thus called because of the harvest of fruit, the joyous conclusion of a successful agricultural year, this year the holiday bears a different significance. This year, too, there is a harvest; however, the fruits are not material but spiritual — they are the fruits of the Shemittah year, where the farmers tend to their spiritual fields and vineyards. The climax of the Shemittah year comes precisely at this moment. While the Shemittah-related prohibitions are no longer in effect with the arrival of the New Year, the trees and storehouses are full of fruits imbued with Shemittah sanctity. This is the time — not during Shemittah itself, as explained by Chazal (and the understanding of the structure of the agricultural year, culminating with Chag HaAsif supports this) — when the mitzvah of the Hakhel ceremony is held. Hakhel is held at the Beit HaMikdash, in the Women’s Courtyard, and it is attended by the entire Jewish people. This mitzvah is so fundamental, that women are not exempt (as they are from most time-bound mitzvot), and parents are even charged with bringing their babies. It is with good reason that the Rambam (Hilchot Chagigah 3:6) views this ceremony as a reenactment of the Giving of the Torah. Surprisingly, the ba’al kriah is not a religious leader, the high priest, a prophet, or president of the Sanhedrin but rather the king. It seems that the ba’al kriah’s identity highlights the goal of this unique mitzvah, which is not to teach halachot (naturally, a mass gathering is not the ideal forum to understand halachic intricacies). The goal, instead, is to relive the Giving of the Torah at Sinai. After the Shemittah break, when the Jewish people have been elevated a few inches above the ground, we prepare to engage in our primary job in this world: to reveal G-dliness in everything, even in the most material and earthly. This is why the ba’al kriah is the king and not a religious leader who is immersed in Torah study and sanctity all day. The goal here, instead, is to root the entire nation in sanctity. There is no one more suitable for this job than the king. If we are speaking about a king from the House of David, he runs the ceremony while seated on the bimah in the Azarah (main courtyard). Only kings from the House of David can sit in the Azarah. Even the high priest is not allowed to sit there. A ceremony resembling Hakhel is held every year on Yom Kippur in the Azarah, run by the high priest, who reads from the Torah while standing. Sitting is an expression of making oneself “at home.” Indeed, a king who diligently fulfills his duties is the chief executive officer responsible for making G-d’s Name known throughout the world, the purpose for which the world was created. Who is more fit than he to express this concept? While this is true of every Jew, the king, an expression of the Jewish People, manifests this idea in its most perfect form. The Beit HaMikdash is likened to a neck: “As the Tower of David is your neck, built to hold weapons” (Shir HaShirim 4:4). The neck connects the head to the body, and the Beit HaMikdash connects heaven and earth, making it the perfect venue for this unique ceremony. Hakhel is not held today, not even mi’d’rabbanan. The poskim cite several reasons for this, with the common denominator being what we sorely miss today: there is no Beit HaMikdash, most Jews do not live in the Land of Israel, and we lack a king (here perhaps a government official could take his place). In any case, the Acharonim (the first being the Aderet, rabbi of Jerusalem) encouraged the custom of the Hakhel commemoration ceremony to reenact the glorious Hakhel that took place in Temple times, with the anticipation for its full reinstatement speedily, in our days. “And so, too, Hashem, grant honor to your people … gladness to Your land and gladness to your city; flourishing pride to David your servant, and preparation of a lamp for the son of Jesse, Your anointed, speedily in our days” (the addition to the Kedushat Hashem blessing said during the Days of Awe). “As so that the sanctity will be properly strengthened, it is necessary that the People of Israel live in the Land of Israel, since they are the Chosen People, and it is the Chosen Land, and over the People of Israel will rule a king from the House of David, who is the Chosen King, through whom all of Israel are bound up in the bond of sanctity. If one of these conditions is missing the sanctity cannot be properly strengthened, which is why this is the order of our prayers” (Ma’amar HaChochmah, Ramchal). 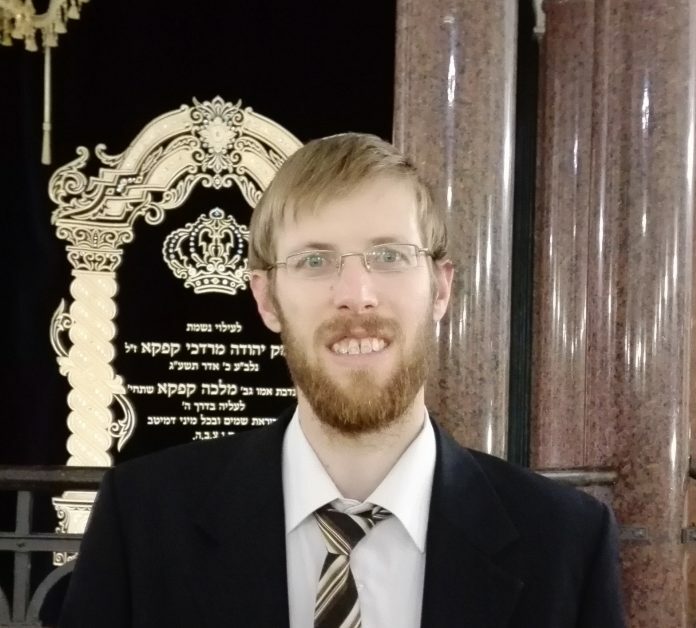 Rabbi Moshe Bloom is head of the English department of Torah VeHa’aretz Institute. Torah VeHa’aretz Institute (the Institute for Torah and the Land of Israel) engages in research, public education, and the application of contemporary halachic issues that come to the fore in the bond between Torah and the Land of Israel today. For additional information and inquiries, email h.moshe@toraland.org.il or call 972-8-684-7325.